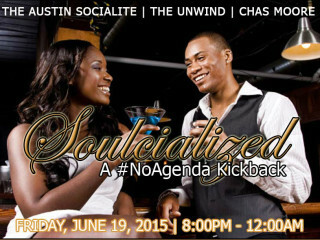 Join The Austin Socialite, Unwind Austin and Chas Moore as they kick off the Juneteenth weekend and ring in the summer with Soulcialized: A #NoAgenda Kickback. Enjoy tunes, craft cocktails and more. $7 in advance; $10 at the door.